Cartridge filtration units generally operate most effectively and economically on applications having contamination levels of less than 100 ppm. For heavier contamination applications, cartridges are normally used as final polishing filters. 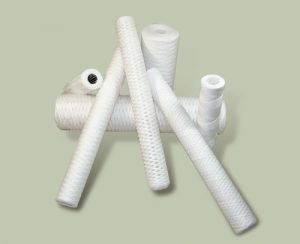 Cartridge filters are normally designed disposable: this means that they have to be replaced when the filter is clogged. Continuous strand winding process provides consistent performances of high dirt holding capacity, long service and high flow rate. 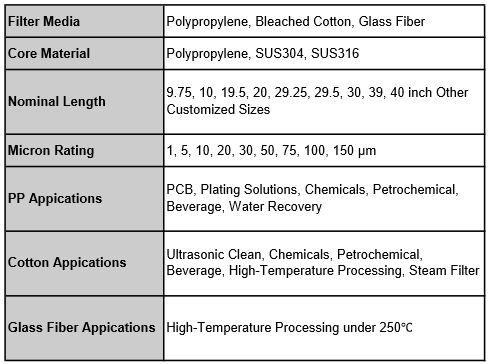 Numerous filter media provide excellent chemical compatibility for different applications. No odor, no foaming and no media migration. Melt Blown Filter Cartridges are constructed by 3 layers of depth Polypropylene fibers. With the innovative design, the industrial grade filter cartridges allow comprehensive distribution of fluid flow throughout the entire depth of media. The manufacturing process combines superior process control along with quality assurance, resulting outstanding performances of finer retention rate, higher dirt holding capacity and lower pressure drop. 3 layers construction creates great dirt holding capacity and superior service life. Innovative construction design provides consistent particle removal efficiency. 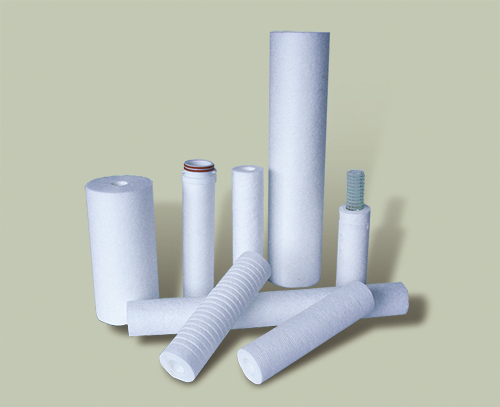 100% polypropylene depth filter cartridges for broad chemical compatibility. Free of binders, additives and lubricants. 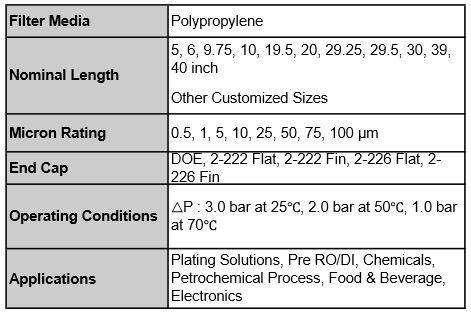 Manufactured by FDA grade polypropylene resin.